It's hard to imagine that there are people who might confuse Nutella-a gooey, chocolaty spread laden with sugar, palm oil and hazelnuts - with a health food. But apparently that's exactly what Athena Hohenberg, a San Diego mother of a 4-year-old daughter, did. 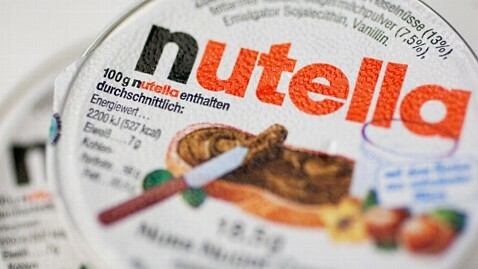 Last February, Hohenberg sued Ferrero USA, Inc., the makers of Nutella, for false advertising. In her suit, she claimed that she "was shocked to learn" that Nutella "was the next best thing to a candy bar." She argued that TV ads falsely promoted Nutella as a healthy breakfast option, while omitting the fact that a few tablespoons contains 200 calories, 11 grams of fat (3.5 grams saturated), and 21 grams of sugar. She sought an order preventing Ferrero from marketing Nutella as "healthy," "balanced nutrition," and said her goal was to pursue a class-action suit. Hohenberg got all sorts of flack for her apparent nutritional naiveté, but she won. The suit has been settled for $3.05 million, $2.5 million of which will be divided among consumers. Anyone who bought Nutella between Jan. 1, 2008 and Feb. 3, 2012, (or Aug. 1, 2009 and Jan. 23, 2012 in California) can file a claim. Not that they'll get rich: Consumers can receive up to $4 per jar of Nutella that they purchased during the specified time period, with a maximum allowance of $20 per household. But Ferrero also agreed to modify the Nutella label and certain marketing statements about the product, create new television ads and change their website. So now consumers can take their winnings, buy more Nutella, and know for sure they're not eating tofu.